Recently, Xiaomi has launched the Redmi Note 4X smartphone in China, and a new smartphone has been leaked on Chinese certification site TENNA. A new Xiaomi Redmi smartphone with MAE136 model number has passed the certification and several reports are claiming that this could be the Redmi 5 flagship device. 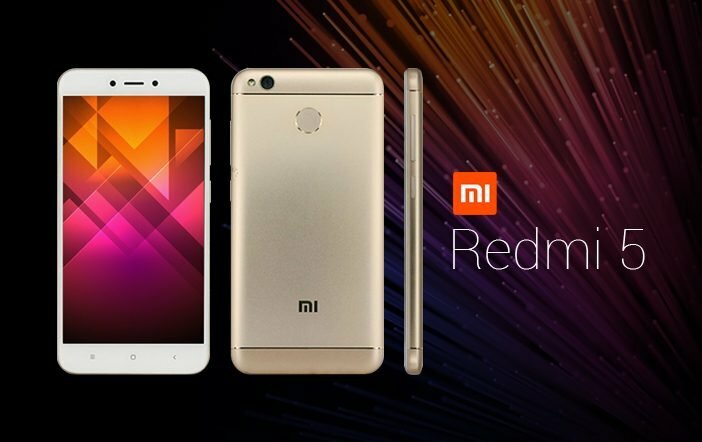 A report from Xiaomi Today spotted the TENNA listing of Redmi 5 smartphone which revealed its design and key specifications. The Xiaomi Redmi 5 is expected to feature a 5-inch display. It will be a dual-SIM mobile with a massive 4000mAh battery to keep the device powered all the time. Based on the leaked image, the handset features a metal unibody design with rounded edges and has a dedicated fingerprint sensor at the rear. The handset will have a camera at the top edge of the rear panel with a flash module, whereas its predecessor the Xiaomi Redmi 4 had the camera positioned at the top centre. Up front, there are capacitive navigation buttons below the display and a selfie camera, whereas the volume rockers will be placed at the right edge. The device measures dimensions at 141.3×69.6×8.9mm. Besides this, nothing about the upcoming mobile is known as of now. Interestingly, a few rumours suggest that the MAE136 could be just another variant of the Redmi 4 smartphone probably the Redmi 4X. Xiaomi has a tradition to offer numerous variants of the device. Moreover, the Redmi 4X’s specifications and design language will sit comfortably next to the Redmi Note 4X smartphone which has launched recently. Though, these are only the speculations of the device whose upgraded design has been seen in the recent TENNA listing which hints towards the likelihood of Redmi 5 smartphone. While the tech giants like Samsung, Lenovo, Nokia, and others are all set for the MWC 2017, Xiaomi is sure about skipping the event. The miss out of Xiaomi from MWC could be due to the delay in the release of its Xiaomi Mi 6 smartphone. Similarly, the other mobile manufacturers are delaying the launch of their devices as Samsung has saved the supply of the latest Snapdragon 835 chipsets for its Galaxy S8 flagship device. Hence, the manufacturers have to either offer an older chipset on their devices or wait till the supply of Snapdragon 835 SoC arrives.